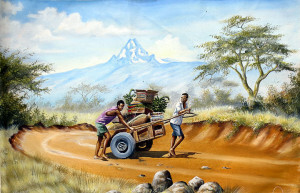 There are original African artists – and there is Geoffre Mugwe. 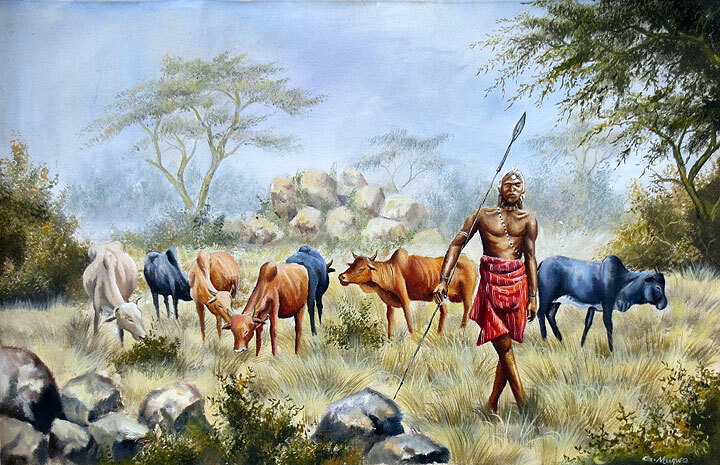 In a class by himself, Mugwe has aligned himself with one particular gallery in Nairobi and never the two shall part. 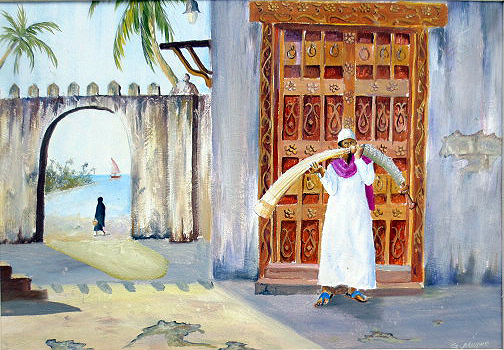 He is a mysterious man and I wish I knew more about him, but the gallery in which he paints exclusively keeps him a well-guarded secret and as much as I have tried, they will not reveal him to me. 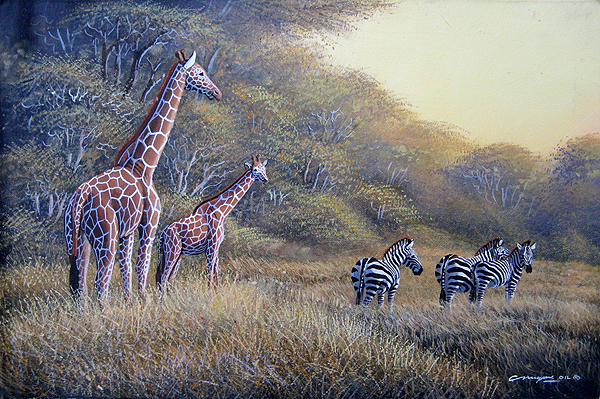 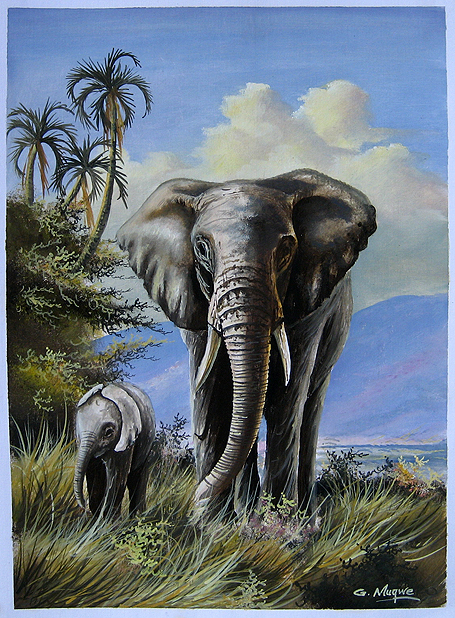 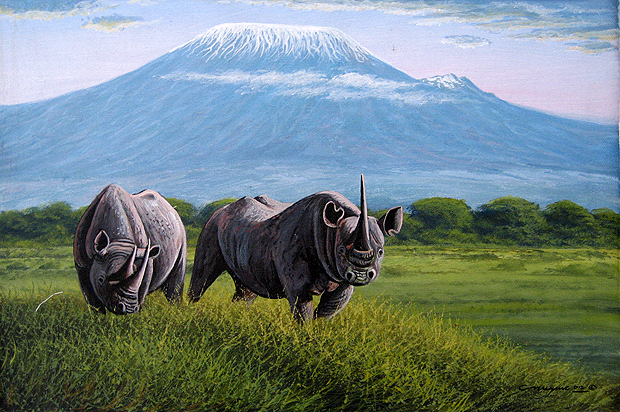 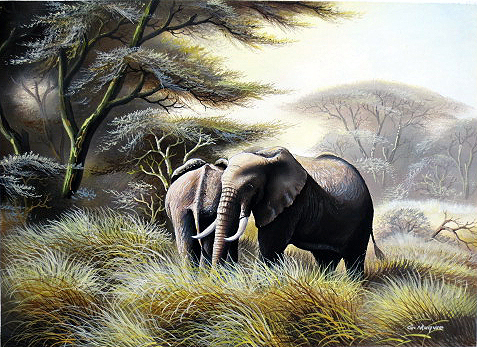 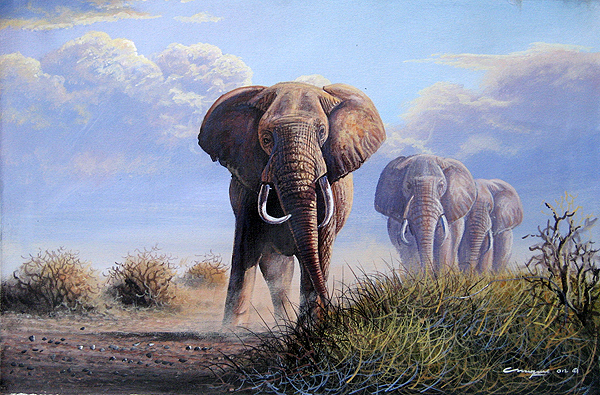 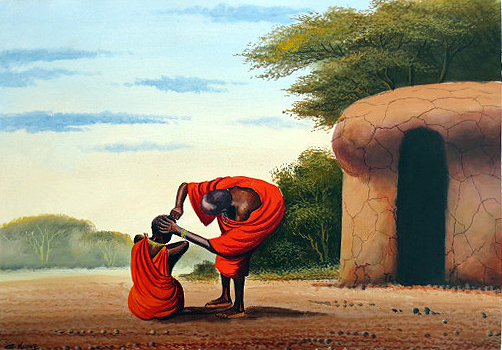 Mugwe paintings with both fascinating detail and a unique observation of both form and light. 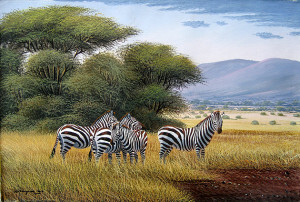 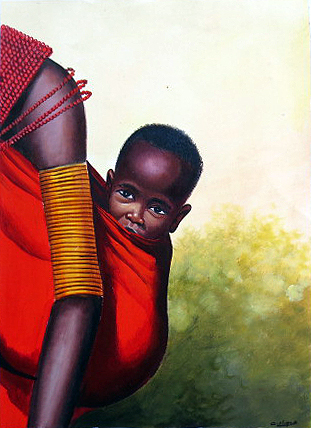 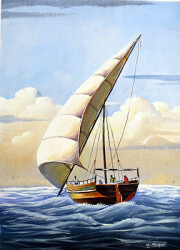 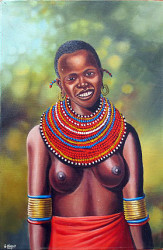 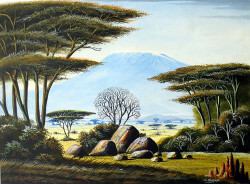 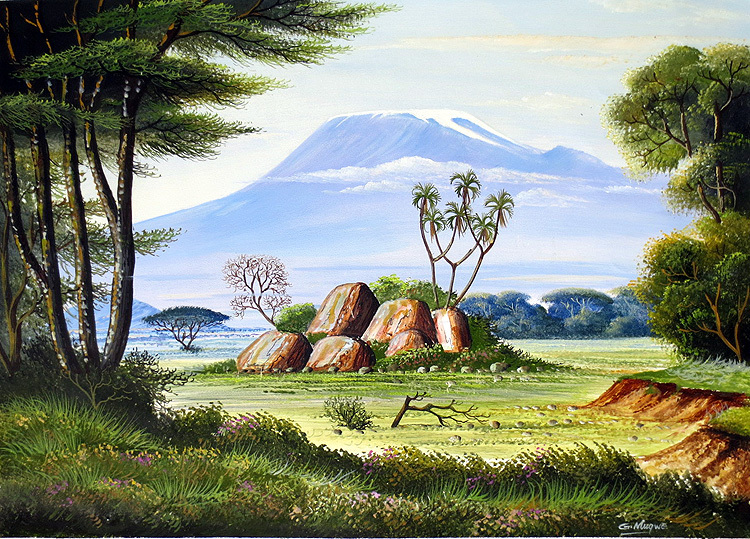 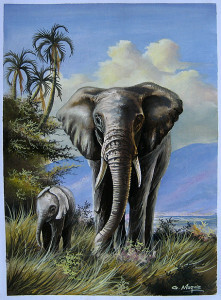 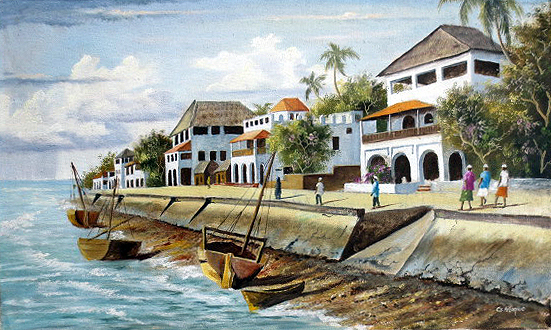 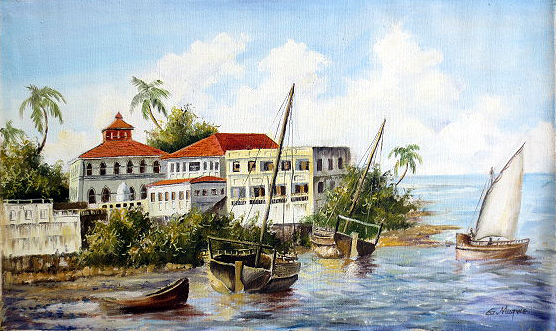 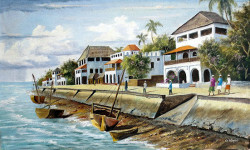 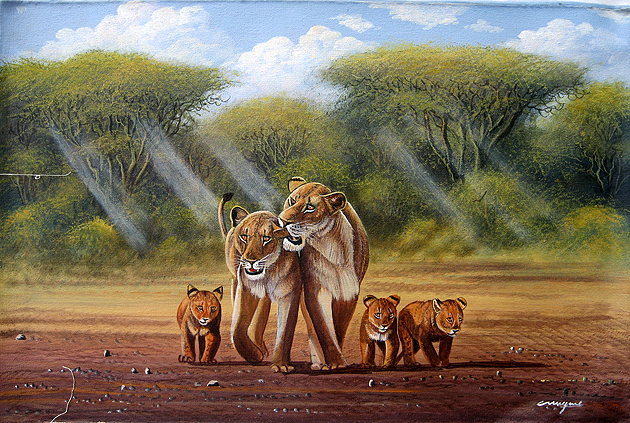 His compositions are unlike any other artist in that they are vibrantly colored and dynamic in the depiction of Africa. 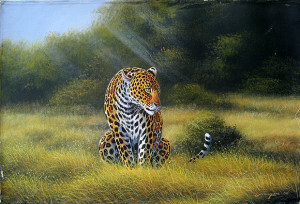 Cast in a rich warm light, the elements of the paintings are fantastic to look at – I never tire of his skill. 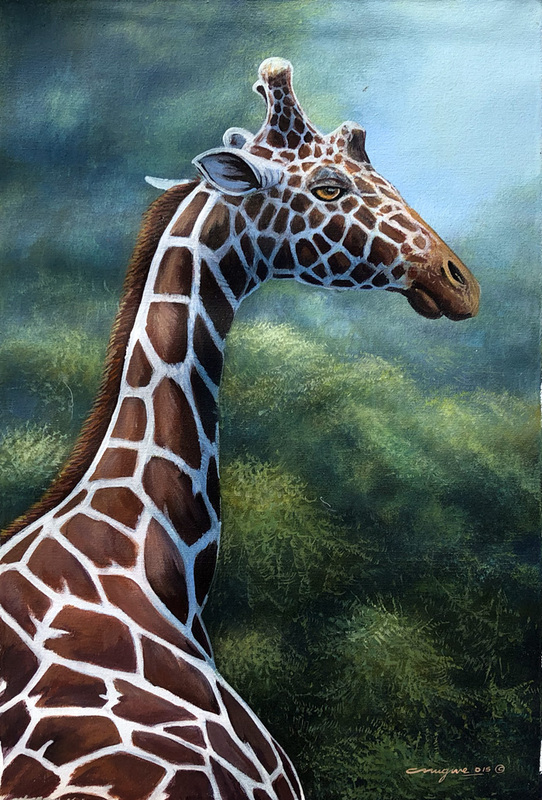 If you are interested in any of Geoffre Mugwe’s paintings, you can Make an Offer by using the Contact Page or by emailing me at: todd@insideafricanart.com. 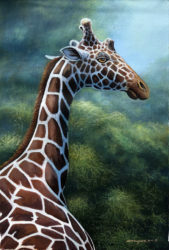 Or, better yet, go to the Purchasing Page to make a purchase!